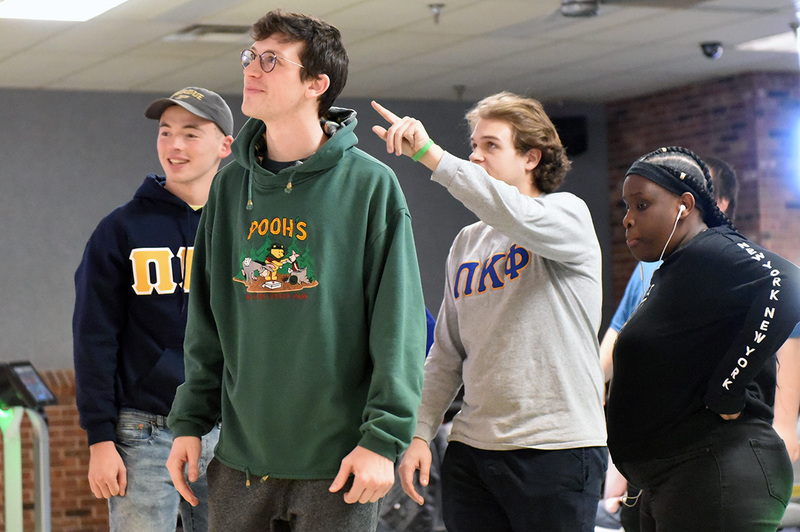 Four chapter members joined Lafayette Jefferson High School students with special needs in a bowling outing on Jan. 25, 2019. Nearly every school day the fraternity sends members to assist teachers with the students in life skills training and outings. The fraternity has been doing such work since 2008.